Mack Trucks introduced the Mack MP8HE 13-liter engine and the Mack HE+ package for Mack Anthem models to help customers realize maximum fuel efficiency. Mack Anthem models spec’d with the MP8HE engine and HE+ package deliver up to a 9.5 percent improvement in fuel efficiency and achieve the U.S. Environmental Protection Agency’s SmartWay designation. To help customers realize maximum fuel efficiency, Mack Trucks introduced the Mack MP8HE 13-liter engine and the Mack HE+ package for Mack Anthem models. Mack Anthem models spec'd with the MP8HE engine and HE+ package deliver up to a 9.5 percent improvement in fuel efficiency and achieve the U.S. Environmental Protection Agency's SmartWay designation. 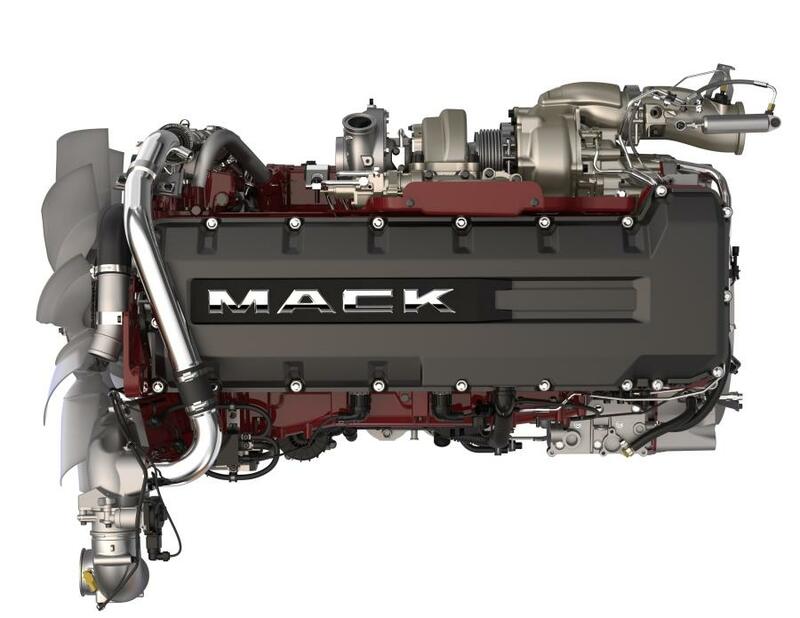 The Mack MP8HE engine employs Mack Energy Recovery Technology, which captures waste energy from the engine's exhaust and converts it to mechanical energy that is delivered back to the engine crankshaft as additional torque. The HE+ package consists of a number of fuel efficiency-enhancing features, including additional aero components that take the aerodynamic advantage of the Mack Anthem a step further. The Mack MP8HE is available exclusively with the Mack mDRIVE automated manual transmission. Fully integrated with the engine, the mDRIVE contributes to overall efficiency by constantly monitoring speed, grade and load to identify ideal shift points and help ensure the truck is always in the right gear. The mDRIVE also enables the lower, downsped cruise RPM to take advantage of the extra torque provided by the Energy Recovery Technology. In developing the Anthem model, Mack engineers pored over data to design a truck that more easily cuts through the wind. Despite its bold, muscular looks, the Anthem includes a number of aerodynamic enhancements for improved fuel efficiency. Mack's HE+ package builds on these to deliver the ultimate in efficiency. The Mack MP8HE and HE+ package are now available for order. For more information, visit www.macktrucks.com/he.